Globalink Research Intern Lizeth Orozco, a fourth year Biotechnology Engineering student from Mexico’s Tecnológico de Monterrey, is spending her summer contributing to research on post-stroke infection. Under the guidance of Dr. Christian Lehmann and Dr. Juan Zhou, of Dalhousie University’s Department of Anesthesia and Pharmacology, Lizeth is using mice to determine which drugs are most effective in boosting immune functioning of stroke patients. 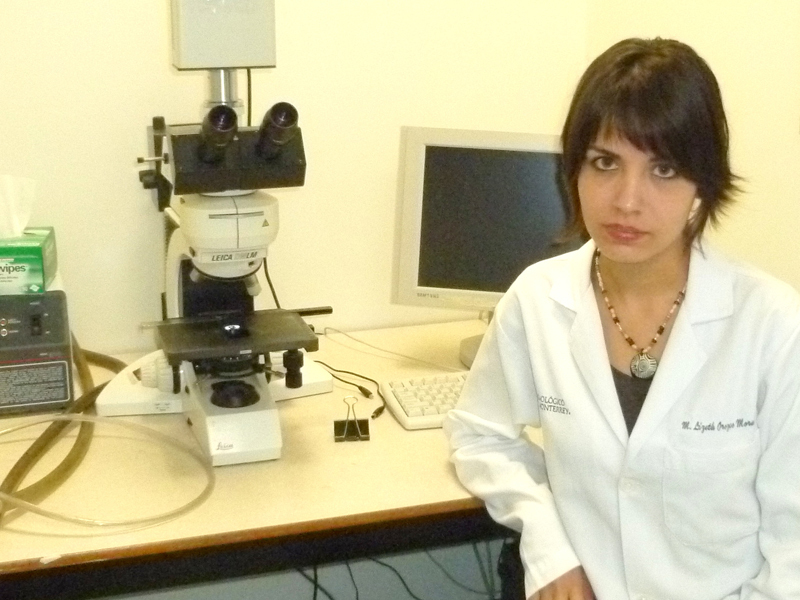 The objective of Lizeth’s research is to understand why immune functioning reduces after a stroke. She is also collecting and analyzing data from tests of various drugs and corresponding dosages, in order to help decipher which treatment could potentially improve the human immune system to stave off post-stroke infections.